The north west of Mallorca is one of our favourite places in the Med. The villages of Deia and Soller are just glorious boasting dramatic scenery with beautiful beaches. 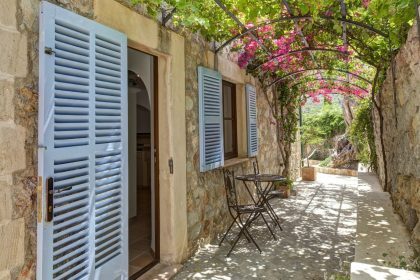 We are delighted to finally introduce a new programme of houses in the north west of Mallorca, in the Deia and Soller areas.This delightful part of the island is away from the crowds and the hectic tourism of the rest of the island.Deia is well known for its literary and musical residents. 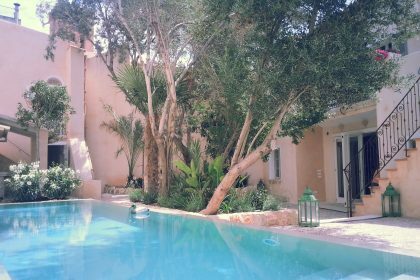 It is picture postcard beautiful with its idyllic landscape of orange and olive groves on steep cliffs overlooking the Mediterranean. 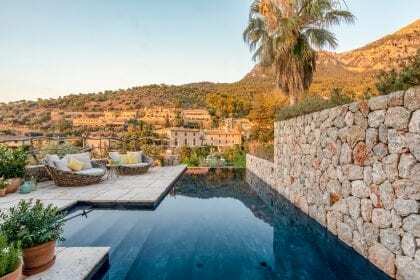 It was quite a draw for English and American expatriates after the first World War & continues to attract interesting people.Mogul, Richard Branson, has a luxury residence in Deia and his influence has encouraged the rock and roll stars to visit and jam at the local bar, ’Sa Fonda’. Mick Jagger, guitarist Mark Knopfler and Mike Oldfield have all played here.The small village has around twenty restaurants and bars that are popular with visitors from all over the world, it is a refreshingly wonderful place both day and night as the beaches around are glorious, the hills are protected so all the buildlings are built out of the same stone.Down an old track through the olive groves lies the ’cala’, the cove, where the few remaining fishermen still go out at dawn to cast their nets. The cala can be reached by car, but it is a long way round, and the walk is delightful.Deia is one of those rare jewels of the Mediterranean, one of those places that is never forgotten - the colours, the smells and the sounds, but don’t take our word for it, go visit it yourselves! Mallorca has its own specialities including Sobrassada which is a local sausage. The area around Soller is famous for oranges, both navel and canoneta are ground widely, as are almonds and olives. The local dishes include tumbet (a kind of ratatouille) and lechona asada (the most scrummy suckling pig). So much to do in and around the immediate area of Deia but also there is golf and tennis a little further afield, the sea, restaurants, horseriding, cycling, swimming, sunbathing, reading, writing, painting. 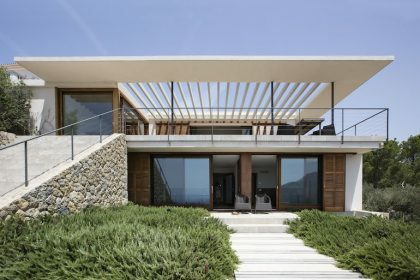 Be surprised by the number of five star restaurants in Deia from the Michelin starred Olivo to Sebastian’s and the delightful Jaime’s to more relaxed tapas bars and other restaurants filled with twinkly lights. Deia at night comes alive as other guests on the island flock here due to the very high standard of food available. The English poet, novelist and scholar, Robert Graves, was one of the first foreigners to settle in Deia. He returned after the war and remained there until his death. He used the town as the setting for many of his stories, including the historical novel Hercules my Shipmate. His house is now a museum open to the public. 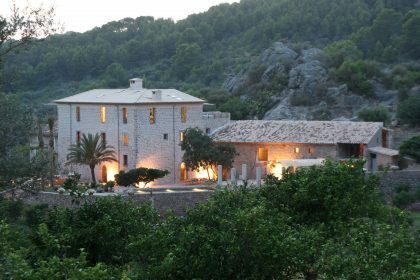 Deia itself is a draw for many a celebrity with Andrew Lloyd Webber owning several houses in the surrounding hills. 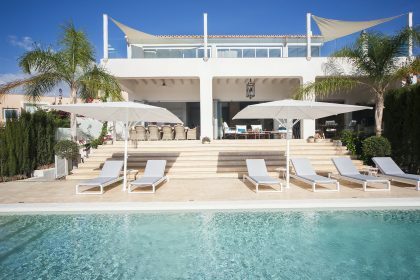 Other famous faces include Daisy Lowe, Rhys Ifans, Michael Douglas and Richard Branson who famously opened the Residencia Hotel in the village which, with a cocktail in hand, is a fabulous place to see and be seen.